Buckingham Palace has announced that Britain’s Prince Philip, 95, husband of Queen Elizabeth, is to permanently stand down from royal duties in the autumn. The Palace said this in a statement on Thursday. The palace also said that the queen would continue to carry out her full program of engagements. According to Reuters reports, all senior royal staff were summoned to a meeting at Buckingham Palace on Thursday. The Daily Mail newspaper had reported that senior aides from across the country had been called to the palace for an emergency meeting, leading to wide speculation on social media about the health of the royals. “There’s no cause for alarm,” the source, who spoke on condition of anonymity, told Reuters. The queen, the world’s longest-reigning living monarch celebrated her 91st birthday in April. Philip turns 96 next month. 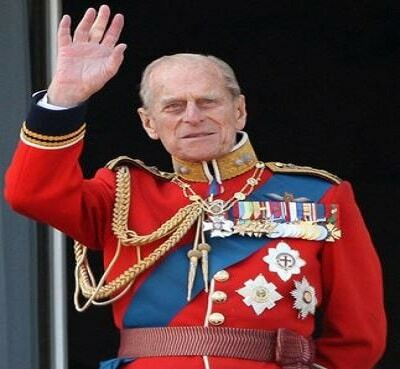 Prince Philip, Duke of Edinburgh, a member of the House of Schleswig-Holstein-Sonderburg-Glücksburg, was born into the Greek and Danish royal families. He was born in Greece, but his family was exiled from the country when he was an infant. After being educated in France, Germany, and the United Kingdom, he joined the Royal Navy in 1939, aged 18. From July 1939, he began corresponding with the 13-year-old Princess Elizabeth (his third cousin through Queen Victoria of the United Kingdom and second cousin once removed through King Christian IX of Denmark), whom he had first met in 1934. During the Second World War he served with the Mediterranean and Pacific fleets. After the war, Philip was granted permission by King George VI to marry Elizabeth. Before the official announcement of their engagement, he abandoned his Greek and Danish royal titles and became a naturalised British subject, adopting the surname Mountbatten from his maternal grandparents. After an engagement of five months, he married Elizabeth on 20 November 1947. Just before the wedding, he was created Duke of Edinburgh. Philip left active military service when Elizabeth became Queen in 1952, having reached the rank of commander. He was formally made a Prince of the United Kingdom in 1957. Philip has four children with Elizabeth: Prince Charles, Princess Anne, Prince Andrew, and Prince Edward. He has eight grandchildren and five great-grandchildren.